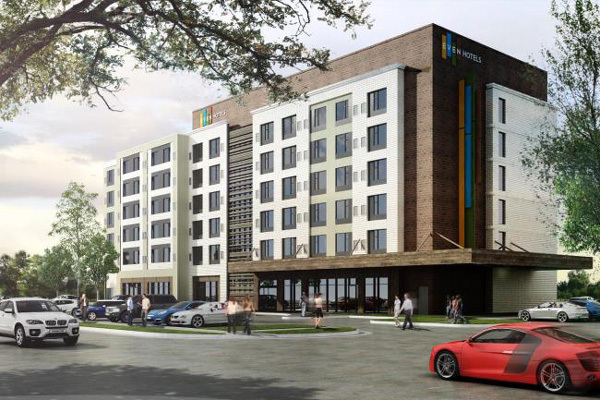 InterContinental Hotels Group (IHG), one of the world's leading hotel companies, and Epelboim Development Group, an established hospitality developer, have announced the groundbreaking of a new Even Hotels property in Alpharetta, Georgia. Set to open in the third quarter of 2019, the new-build construction hotel continues the expansion of the wellness-focused brand’s footprint in the Southeast and marks the first location in metro Atlanta. This comes on the heels of the brand’s recent openings of two Even Hotels in Sarasota, Florida and Eugene, Oregon. The six-storey Even hotel will feature 132 rooms, four suites, flexible public workspaces, 750-sq-ft of meeting space, a business centre, onsite restaurant and a 1,200-sq-ft Athletic Studio. The hotel will also incorporate the brand’s signature in-room fitness elements and a balance of health-conscious and indulgent food and beverage options to help guests maintain their wellness routine while travelling away from home. The hotel will feature a best-in-class fitness experience with the brand’s signature Athletic Studio that is larger than typical hotel gyms. Every guest room will include an in-room fitness zone with a dedicated workout space with fitness equipment and 18 different workout videos, ranging from 10 to 30 minutes in length. The Even Hotel Alpharetta will also feature the brand’s signature Cork & Kale café, offering a menu that emphasises variety, dine-in meals and quicker options like breakfast sandwiches and fresh salads from the Grab-and-Go marketplace that will be available 24/7 for guests’ convenience. Located just off of Georgia Route 400 and Old Milton Parkway in the northern Atlanta suburb of Alpharetta, the Even Hotel Alpharetta has easy access to downtown Atlanta, Hartsfield-Jackson Atlanta International Airport and the area’s vibrant neighbourhoods. The hotel will be conveniently located close to shopping venues, restaurants, arts and cultural attractions, and is across the street from Avalon, an 86-acre, mixed-use development with more than 500,000 square feet of retail, lodging, theatre, office and residential space. Alpharetta is a highly sought-after location for business; it was ranked the sixth fastest-growing city in the nation, is home to more than 900 technology companies and has a strong presence of companies in the finance, healthcare and logistics industries. Epelboim Development Group is also the developer for the Even Hotel Miami - Airport, which is scheduled to open in fall of 2018. The Even Hotel Alpharetta will be the third hotel for the brand to open in the Southeast, and will also join the Even Hotel Sarasota-Lakewood Ranch that opened in early 2018. The Alpharetta hotel will be a joint venture between Epelboim Development Group and IHG and will be managed by IHG. Even Hotels is IHG’s newest lifestyle hotel brand, created with wellness at its core. Even Hotels empowers guests to maintain their wellness routine while on the road by providing options to choose what that means to them. The brand has intentionally designed every aspect of the hotel experience, in every square foot across all properties, with an emphasis on four components: eating well, resting easy, keeping active and accomplishing more.